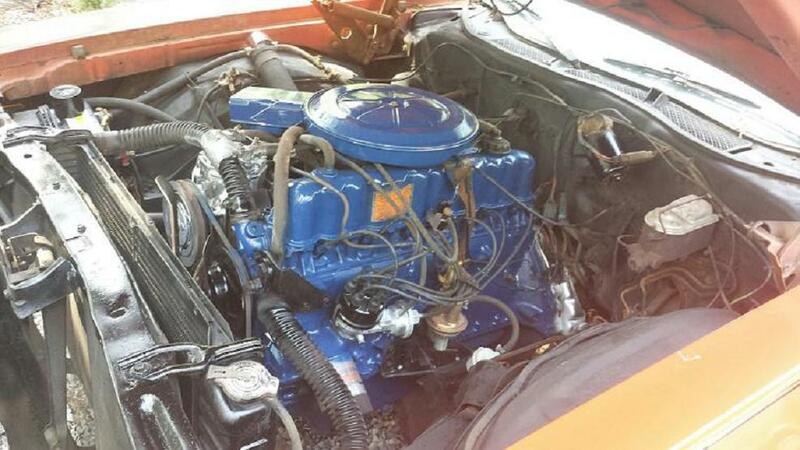 I've looked through here a little bit and I haven't really seen anyone that has a 6 in their Torino and kept it there. Does anybody have one? Better yet has anybody "built" one? What kind of numbers did you get? Yes, there is a member who has one in his 1972 Torino. But I do not remember if he had "built" the engine up for Increased Horsepower and Torque. To see his thread Click here. Mine is all stock and has never been opened since it was installed when the car was new. There is a decently sized aftermarket for the 200-250 engines, just as there is for their bigger brothers the 240 and 300, however, it is nowhere as vast as the SBF, BBF, and Modular engines. I love my 250. With the original 3 speed manual on the column, it runs smoothly and somewhat efficiently (getting 18 on the highway) and will go as fast on the highway as you wish...within reason. Unfortunately, if I don't sell the car, I do intend on installing a stroker 5.0 with a 5 speed I'm building because of a desire for more power. You can spend $3K on this 250 or spend the same amount on a nice 5.0 and get more than 2X the power, with no sacrifice in economy. I believe that is the main reason so many 250 Ford vehicles still in existence have moved up to a V8. A 63 Falcon Futura with a 200 six and a turbo sounds really cool to me! If your going to build an engine for performance, why a 6cyl? unless originality, or access are the reason? Just doesn't make sense to me? Call me crazy but wouldnt it lighten up your front end by a decent amount and make it handle better ? Yes, it does indeed lighten up the car measurably compared to a an original V8. My red wagon will zip around the mountains and curves, while the Squire just complains and fights to go around them. The 3 speed also weighs less than an automatic. 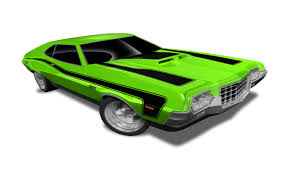 Case in point: My optionless 1972 Torino wagon weighs 3881 pounds, but my 1972 Gran Torino Squire 429 that is loaded with options weighs almost 5300 pounds. HUGE difference that you can tell immediately when driving. If I keep the 250 Torino wagon, I will be installing a modern 5.0 with aluminum heads, aluminum EFI intake setup, headers, aluminum pipes, aluminum radiator and an aluminum cased Tremec 5 speed. I am also removing the seats and installing a far lighter interior (but that is beside the question here). From what I have calculated, this setup will actually weigh less than the current stock setup. New technology verses old school. Could do it to be "that guy"
At least in my area a Torino is not a car you see very often, the way I see it everyone on this forum likes to do something different that most others. I'm kind of surprised I haven't seen somebody who took it the next step and done one. That's why I'd keep the 250 in there. I think it'd be cool sticking out. Sort of like our old Camaro with the 2.5L powerplant. Nice! are you going to leave it stock or hot rod the motor a little bit? 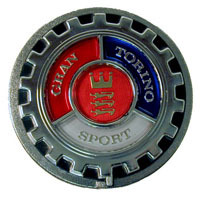 I meant for your Torino what are the engine plans for that?